Smart Vision Lights DLP Series illuminators are innovative and highly versatile lights. 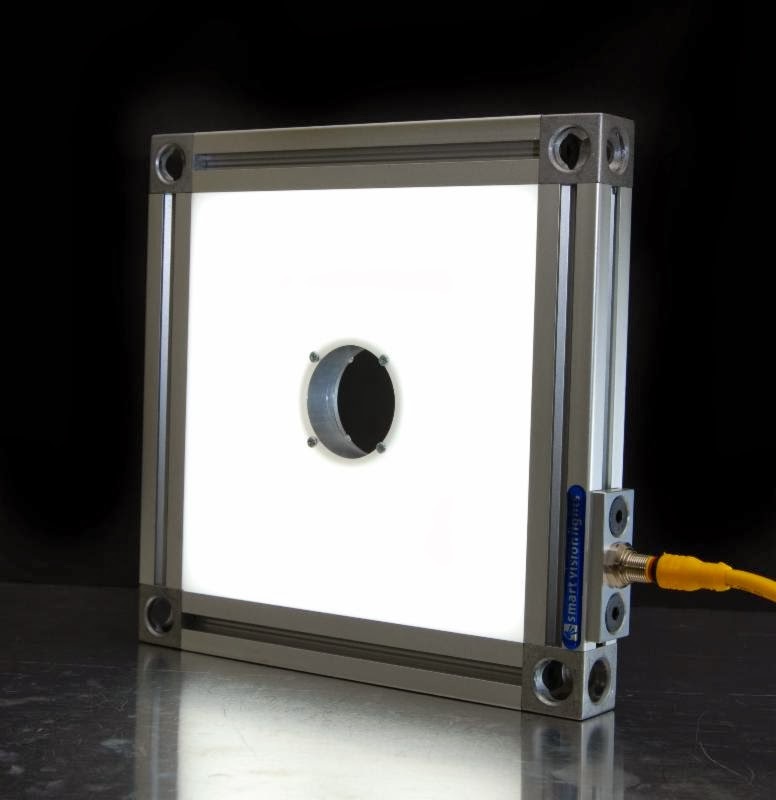 Think of a powerful backlight with a hole in the center. The result is homogeneous illumination similar to dome lighting. These products emulate dome lighting by allowing light to come from multiple directions while giving the freedom to mount the light at a distance when domes must be mounted directly on top of the object. 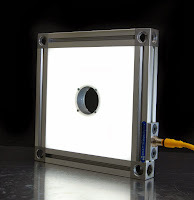 DLP lights can also be used to fill an area with soft diffuse light. This type of illumination reduces shadowing, reflection, and eliminates hot spots that point source spot lights can produce. The built-in LED driver makes connect-ability a snap featuring NPN/PNP strobe trigger input and remote analog intensity control through a 1-10V signal. DLP lights can run in continuous on or be pulsed. Available in multiple colors/wavelengths.